Here’s a short clip of a solo run on Ebisu’s D1GP section. This also served as a test for a new smoke add-on. I got it from the TougeLife mod by Ryan Smith. You can grab his mod at their TougeLife site. I didn’t really like the previous smoke add-ons I’ve used in the past, basically because it gave me a hard time seeing the car in front, and they were practically just all white. But the smoke add-ons that came with the TougeLife mod has textures that makes it look better, and more realistic. Enjoy the short rFactor drift clip below. Let me know what you think. 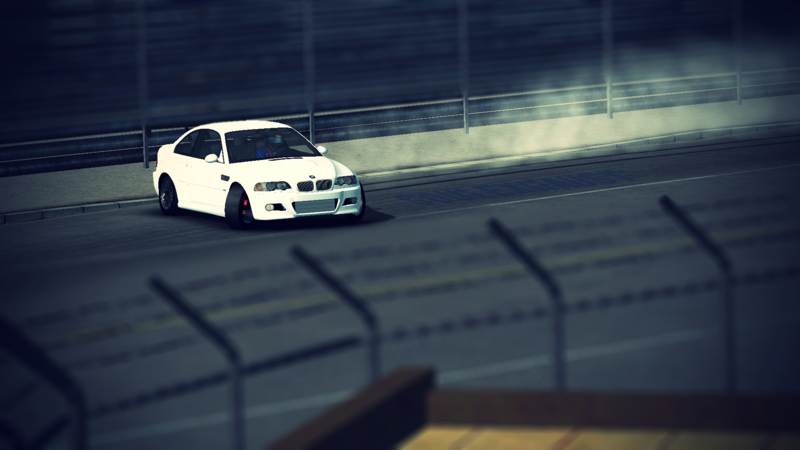 Had fun drifting the BMW M3 E46 made by Rasta Drifter. This isn’t an official release yet, and haven’t asked for permission from Rasta to add a download link for this rFactor drift mod, so just feast your eyes on this beauty. We have the opportunity to get this baby sideways because we’re both members of the Facebook group, JDMFactor. Definitely needs a lot of upgrades for the rims. I’m all good as to how it looks, and honestly don’t want to have any weird looking body kits on it. In terms of Force Feedback, it feels great with my Logitech G27, with Realfeel plugin installed. Can’t wait for the official release! Here’s my custom drift livery for the Nissan Skyline BNR32 GT-R of Project D 2.31. SoulExhaust logo stamped on the bonnet, courtesy of Nino. ASA stands for Angas-Swag Alliance, my clan in Battlefield 3, which is also printed on the rear wings. AltTab Racing is a fictional racing team I created when I raced in the SRPh SGT-500 Championship. JDMFactor, printed at the roof, is a Facebook group I’m currently in, that is dedicated to people who play rFactor for Drifting, and those who love the JDM culture. 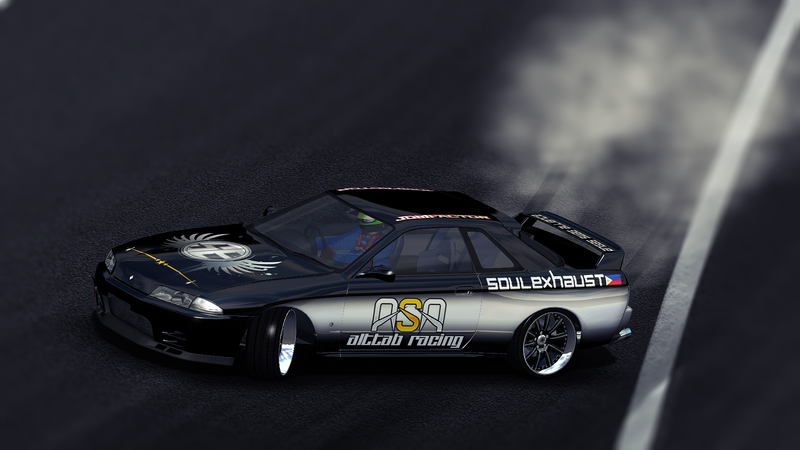 Download rFactor Drift skin here. We might catch each other drifting online. 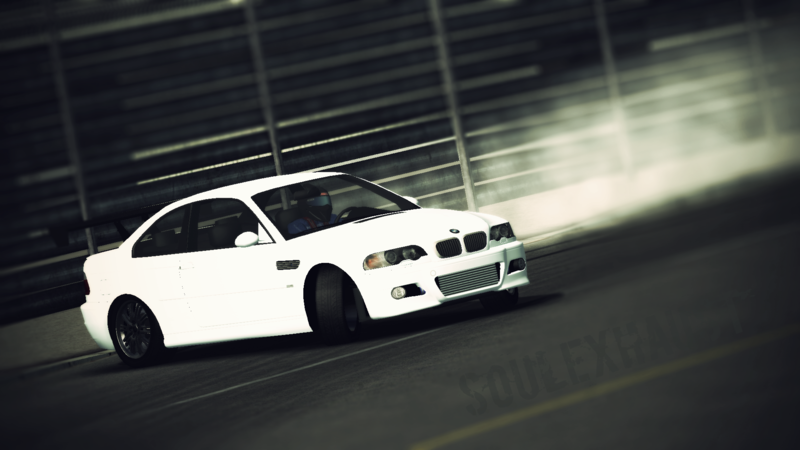 rFactor drift session on a publicly available server named P-Server. Been away from the online drifting scene for a while, so please forgive the crappy drifting and shallow angle, at some points. As usual, some good tandem drift runs with Esteed at the Yokohoma Docks. There’s more from where this came from, and better. This is raw footage, no editing involved, just using default camera angles provided by the track. This is just a preview of some of the action that happens in the rfactor online drifting scene.